The resort’s 24 slopes, terrain parks, high-speed chairlifts, and SNOWPOWER, its state-of-the-art snowmaking expertise, make Wintergreen a favorite winter hot spot. Celebrate the 40th year of winter fun at Wintergreen Resort set high atop Virginia’s Blue Ridge Mountains. The resort’s 24 slopes, terrain parks, high-speed chairlifts, and SNOWPOWER, its state-of-the-art snowmaking expertise, make Wintergreen the region’s favorite winter hot spot. Fun isn’t limited to skis and snowboards. 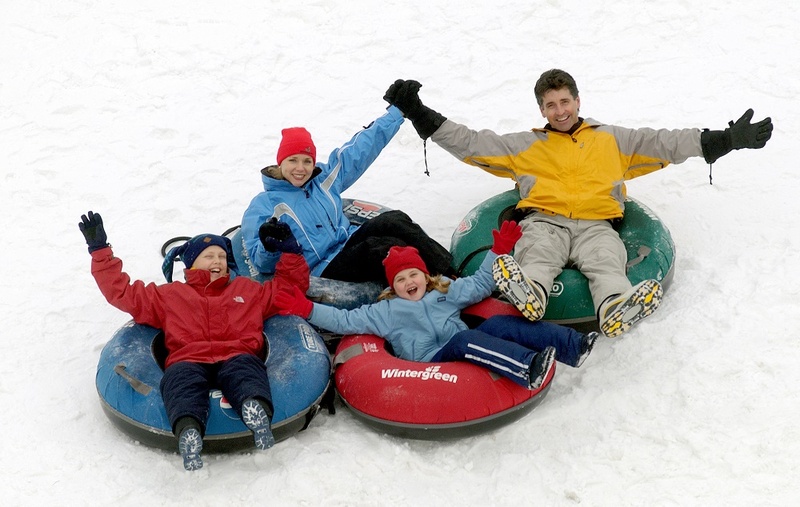 Guests both young and old will discover plenty of thrills tubing at The Plunge and Ridgely’s Fun Park. An outdoor ice skating rink and a winter’s worth of other excitement round out the visit. Wintergreen Resort also is a great place to learn to ski and snowboard with certified quality instructors, rental equipment, and slopes of all levels. Hint: To make the most of your time (and save some money), plan a midweek visit. How can you help your child ski/snowboard better? The lesson focuses solely on teaching youngsters, showing adults how to help their kids do better. One parent can accompany the child at the established rate; additional parent, $59. Wintergreen is the only ski area in the United States to have 100 percent of its terrain covered by automated snowmaking, thanks to one of the world’s most sophisticated snowmaking systems. Installed a few years ago and continuously upgraded, the state-of-the-art Techno Aplin (TA) computerized snowmaking system allows Wintergreen to consistently offer the Mid-Atlantic’s best skiing and snowboarding surfaces. Women’s Ski Clinics are offered on Sundays from late January through late February (January 24, 31, February 7, 14) and taught by Wintergreen’s top-level instruction staff, all members of the Professional Ski Instructors Association. Women's Clinics are three hours and begin 7:45 am Price is $119 each, or $400 for all four (no additional discounts apply during the clinic days). Lift tickets and rental equipment not included. 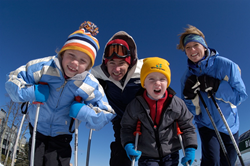 Wintergreen Resort accommodations are ideal for families and groups of all sizes. Options include 230 villa-style condominiums and rental homes, from studio suites to nine-bedroom homes, each offering a fully equipped kitchen and comfortable living area, and most come with fireplaces and a balcony or deck.